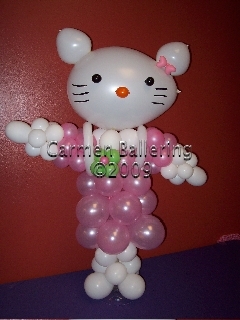 Balloon Decorating Academy - learn balloon decorating from Carmen Ballering, an award winning event decorator. 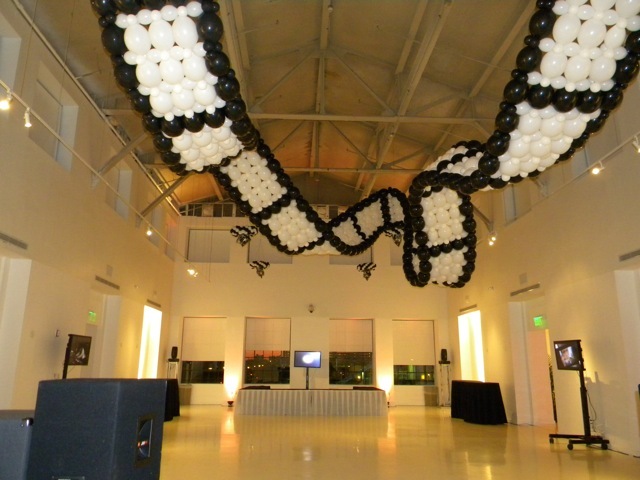 Learning the fundamentals of classic balloon décor will help you enhance the atmosphere of any event. Decorate weddings, birthdays, trade shows, grand openings, bar/bat mitzvahs, sweet sixteen, anniversaries, quinceañeras, proms, sporting events, concerts, corporate events, and many others. 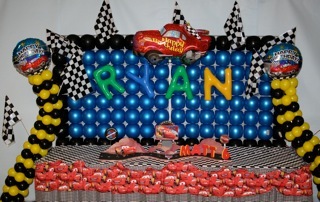 Balloon decorations are the most economical way to decorate a hall. Balloons are great to fill empty spaces and can transform the most ordinary, or downright ugly banquet hall into a breath taking fantasy. How to combine colors for an effective design. Learn balloon decorating with a international - multi award winning designer. These courses are unlike any other. You will use hands on techniques and create actual full sized decor as well as learning the elements of effective design. Classes are taught in our own facility that with a full sized hall that allows you to learn hands on with actual full scale projects. As a student you will receive a full color book with graphic designs of many balloon designs that you can create for your customers. Learn more about how you can add over the top balloon decor to the services you provide or enter an exciting new career. In the Certified Event Decorator course you will learn how to add other elements like fabric, props, and flowers to your balloon decor. The EDA offers intermediate and advance Continuing Ed Classes. We do not teach the same things you find for free in manufactures websites or other sites. Our manuals are written by our instructors and are not sold anywhere. Our balloon decorating classes will teach you everything you need to know to start offering distinctive decor to your clients. 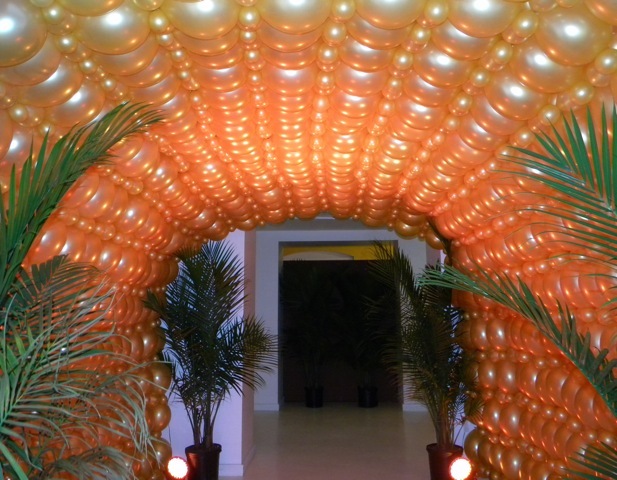 You will learn how to create several types of balloon columns, balloon arches, balloon canopies, balloon centerpieces, balloon walls, and balloon sculptures. Let us teach that how to do Spectacular Event Decor, just as you have always dreamed about! Learn to make kids favorite characters using round balloons. Great for deliveries, parties and even decor. These adorable sculptures will bring smiles to everyone. Join this course and learn how to make amazing scenes for those special birthdays. Learn how to offer an all inclusive decor package with everything they need for a unique party. Learn to transform a kids birthday party into a once upon a time fairy tale. 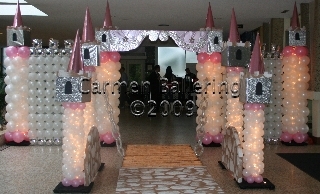 In this class you will learn how to add enchantment to your décor by incorporating balloon decor and the use of props. Learn the traditions behind this event. Learn to do the traditional decorations, accessories and favors. Learn to transform a quinceañera event into a once upon a time fairy tale. In this class you will learn how to add enchantment to your décor by incorporating the use of fabric, balloon decor and backdrops into carriages, castles, entrances, ceremony scenes, and canopies for the special dance. Bouquets, hair pieces, centerpieces, favors and other traditional items. Nobody else offers this class.